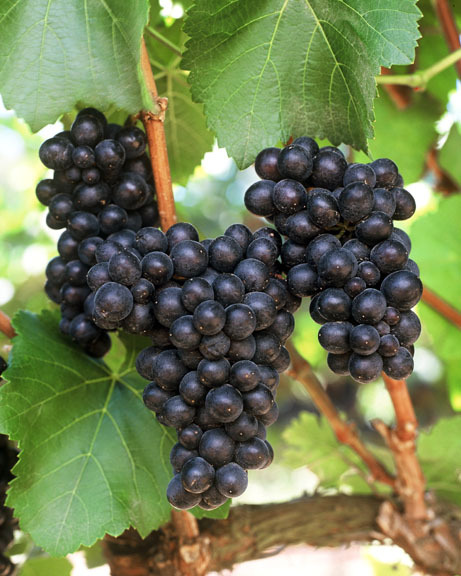 I've used the term "Noble Grapes" over the years, but without much explanation of its' use. 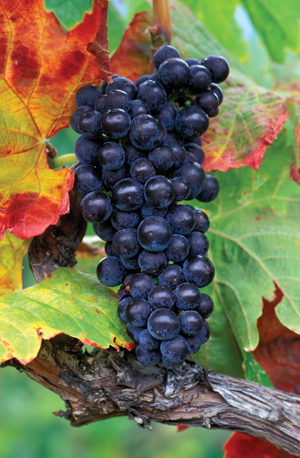 What is a "noble grape" and why is it important to know about them? 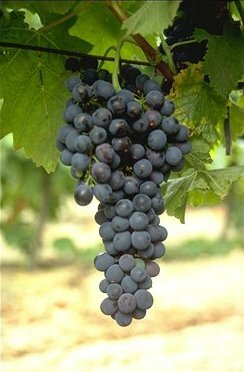 Noble grapes are a term used to describe the international variety of grapes that are most recognizable for the top quality wine they produce. These varieties have principal growing regions, where they are notable for the expression of the local "terroir", but can be grown in other areas with success. 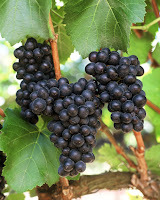 Knowledge of the characteristics of each noble grape variety helps the taster establish a personal relationship with the individual grape and wine. Knowing how it behaves in the vineyard, helps to determine the potential of a vintage (as long as you watch the weather conditions during the growing season). It is generally accepted (with some argument) that there are only 7 noble grape varieties. For white wines, they are Chardonnay, Sauvignon Blanc, Riesling. 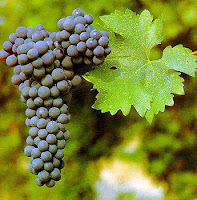 Red wines: Cabernet Sauvignon, Pinot Noir, Merlot, and Syrah. Funny how they are all French! In France, they are referred to as "cépage noble". As the new world expands vineyard plantings, we are seeing a growth in experimentation, and the list of grapes is growing. Consumer recognition has grown beyond those original 7 noble varieties. 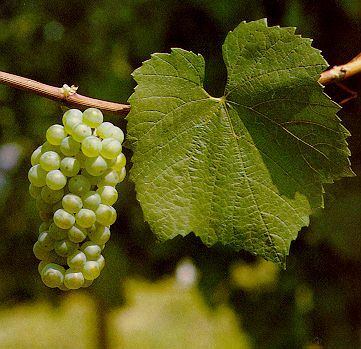 So, I would suggest that the following grapes should be added to that list: Whites: Chenin Blanc, Gewurztraminer, Muscat, Pinot Gris (or Grigio), and Semillon. Reds: Cabernet Franc, Zinfandel, Gamay, Grenache, Mourvedre Tempranillo, Sangiovese, and Nebbiolo. That would bring our total to 20 noble grape varieties that consumers recognize around the world, as making top quality wines. In the vineyard: Early bloom, early ripening, thin skinned. In the winery: Takes well to oak aging, easily manipulated. Juice is neutral to apple scented. MLF* common. On the palate: Cool climate - zesty with med to high acid, medium body & alcohol. 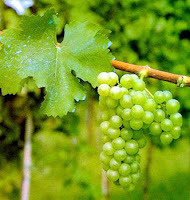 warm climate - low to medium acidity, medium to high alcohol with a "round" or "fat" body. In the vineyard: Late budding and early ripening.Challenging to grow, due to tight bunches and tender skins. In the winery:Usually avoid oak and MLF to emphasize acidity and natural flavors, but California versions (known as Fume Blanc) have oak aging and some MLF. On the palate:High acidity, light to medium body, and medium alcohol. Notable regions: Germany, Alsace, Italy, Austria, Australia, United States and Canada. Wine aromatics: Young-lemon, lime, peach, minerals, beeswax and flowers. Older - gasoline, petrol. Dessert - apricot, honey, raisins, baked apple and peaches. On the palate: High acid. Can be dry to fully sweet. Low to medium alcohol. In the winery: Long maceration period due to high phenolics. Takes well to new oak, works well in blends. Wine aromatics: Cassis (black current) blackberry, black cherry, mint/eucalyptus, green bell pepper. Oak aging can add smoke, toast, tobacco, and vanilla. On the palate: Dry. Medium to full tannins, acidity, body and alcohol. In the winery: Cold soaking is required to extract color and tannins. Very delicate. Used oak barrels. Wine aromatics:Cherry, strawberry, plum, raspberry, gamey, leather, mushrooms, "barnyard funk"
On the palate: High acid and juicy. Moderate tannins, bright red fruit character, silky texture. Wine aromatics:Black fruit, plums, cherries, fig, brown spices (nutmeg & clove), chocolate, coffee, vegetal (if under ripe). In the vineyard: Late budding and mid ripening (can be fussy). Fairly easy to grow. cold hardy, but prefers warmth. In the winery: Very versatile. Works with oak or stainless steel. Often blended. Can be made sparkling, still, fortified or rose. Notable regions: Rhone, Australia (known as Shiraz), Paso Robles CA, Washington. On the palate: Brawny to soft. Moderate acidity with medium to high tannins. Full body. There is some argument that the focus on noble varieties, at the expense of "obscure" local varieties has hurt the wine industry. I tend to agree. If you haven't seen the movie "Mondovino", you should rent it or buy it. It deals with the globalization of wine. If everyone made Cabernet Sauvignon, wouldn't that be boring? When native vines are ripped up and replaced my these noble grapes, there is a loss of the local expression and tradition. 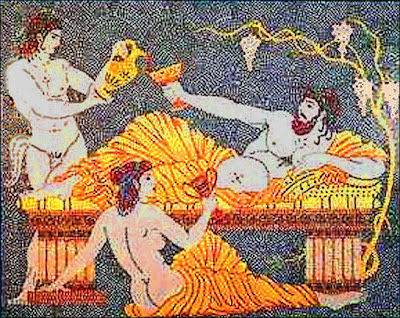 Discovery is part of the wine experience. So, enjoy the noble varieties, but continue to explore and enjoy the thousands of other grape varieties out there. Great piece, although I am fairly certain that Riesling is not a French grape, but rather one from Germany! Actually, that is debateable. 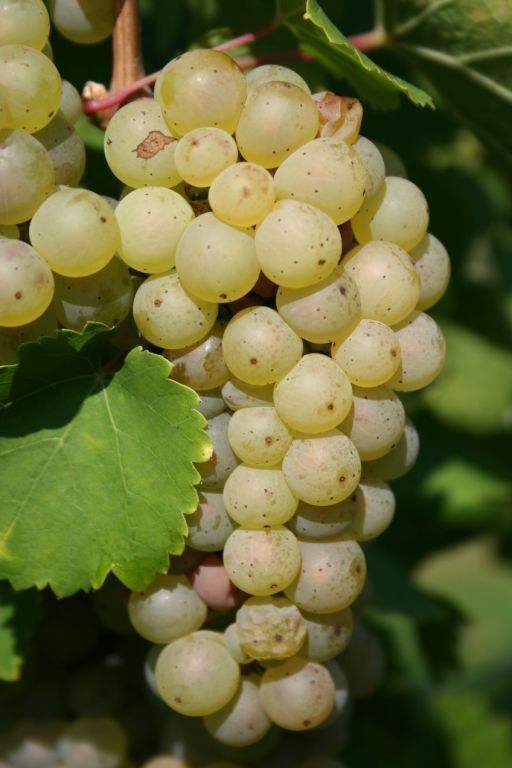 The first known reference to Riesling was in 1348, and that reference came from Alsace. But, it is uncertain if the reference is to the same grape variety. As you are probably aware, the Alsace region has gone back and forth between Germany and France. Recent DNA evidence suggests that the grape may have developed in the Rhine region of Germany. Very good descriptions and explanations. Of the "noble grapes" I like only a lightly oaked chardonnay. I prefer dry and semi-dry reds including Tempranillo and Petit Verdot and have found a unique range of tastes from the Norton grown in Virginia. Not for the timid, it can have wildly different characteristics between wineries, but my experience is generally high acidity with very bold flavor. High acid wines tend to come from cooler growing climates, so keep that in mind when searching for wines you might like. I have to agree with you on Petit Verdot. It is one of my personal favorites, and I am seeing a lot of very nice versions coming from the Paso Robles area of California. Barr Estates makes one of the best I have had, at a reasonable price. Check it out. I just found this blog. Interesting. Informative for a wine novice. Will recommend to eager wine beavers lol. "PRINCIPAL growing regions" and "TERROIR" for instance. It may seem trivial, I know: but it seems one so knowledgeable about one's field should probably be able to spell the jargon. Much luck and keep up the good work! I'll blame the terroir spelling on spell check. Even as I write this comment, spellcheck wants to change it. I wrote this blog article five years ago...no one caught the principle versus principal error. Good catch. Blind Tasting with a "twist"